Printers are the center of attention in any office. Think of all the tasks that you need office printers for: Printing, copying, scanning, emailing documents, importing documents, etc. Printers are there when your employees need to print reports, when you are backing up your paper documents to an online cloud filing system, or even when you are out of the office and need to quickly print a document from your phone so that your VP can be on time to a client meeting. Having a printer, no I mean, having the right printer that fits all the needs of your office is vital to the productivity and, lets be honest, the growth of your organization. It plays into that moments deciding factor if you will land that next deal or score that next client. 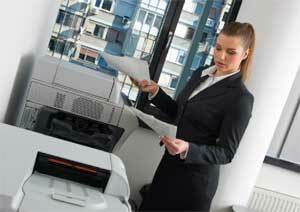 Tip: Align the needs of your office with a printer that can handle the many tasks that you encounter. Even the once in a while, time sensitive, mobile printing capability that Xerox’s ConnectKey technology offers. Let us show you what Xerox’s ConnectKey technology can do for you by clicking here.